What if your career was designed around your personal interests and strengths? 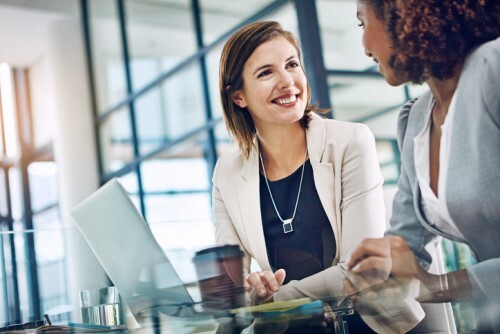 From the ‘one-size-fits-all’ format of past HR programs, talent management is now moving toward a more personalized employee and candidate experience. It’s a radical shift, said people analytics expert David Green. “With personalization, organizations will treat each employee as a ‘workforce of one,’” Green said at the HR Tech Summit in Toronto last month. What is the ‘workforce of one’? In the book Workforce of One, Susan M. Cantrell and David Smith define the concept as a talent management approach that “tailors people practices and policies” to individual employees (or groups of employees) with goal of enhancing personal and organizational effectiveness. Cantrell and Smith followed organizations, such as Microsoft, Accenture, and Sprint, which pioneered the idea of the workforce of one and, as a result, registered lower turnovers, greater productivity, and improved profit margins. Green also cited his own examples. IBM, Salesforce, and Unilever use people data and machine learning to customize talent acquisition and onboarding, as well as learning and development (L&D) and internal mobility. “Technology coupled with data enables organizations to provide these experiences,” he said. Some companies use chatbots to respond to individual employee and candidate needs, and to streamline HR management. There are a few ways for organizations – even those with a workforce of more than 10,000 – to customize job duties, shifts, L&D, performance appraisals, rewards and recognition, and even compensation. In the case of Accenture, which today employs more than 440,000 workers, the company segmented the workforce based on their personal communication and networking styles, as well as their health and wellness profiles. Accenture then gave the employees modular choices on their career break options and job activities, such as volunteer assignments, Cantrell and Smith said. Segment the workforce based on shared preferences and needs. Offer modular choices – options from a predefined list of working conditions. Define broad and simple rules, such as compensation guidelines that allow room for customization. Foster employee-defined personalization in which managers guide employees in charting their own talent development within the organization.